Future's Dirty Sprite 2 broke up a bit of the Drake 'n' Fetty monotony at the top of the charts, but the terrible twosome were still out in force. Long may he reign. King Fetty continues his Top 10 dominance with the new track "1738." Mr. Wap is throwing songs at the wall to see what sticks and, somehow, they are all sticking. "1738" came in at #10 in its first week. Sosa’s improbable turn toward the sounds of the ‘80s, a decade in which he wasn’t even alive, continues to draw HNHH interest. After a massive climb in its second week on the chart, “Ain’t Missing You” fell one spot to come in at #9 in its third week on the chart. G-Eazy was gifted a monster beat from Southside 808 Mafia, turning it into "You Got Me." His new track rattled its way to #8 in its first week. Fetty is finally starting to fall, but “1738” is almost certainly on its way up to replace it. “D.A.M.” dropped three spots in its third week on the chart to come in at #7. Called it last week, y’all. Majid Jordan’s Drake collaboration is on the way up. It moved up four spots in its second week. New YG is always welcome, to HNHH writers and readers alike. “Fingaz” got a 92% positive rating and rode the good vibes to a #5 finish in its first week. The week obviously belonged to Future as his #Hive geeked out on Dirty Sprite 2 tracks. 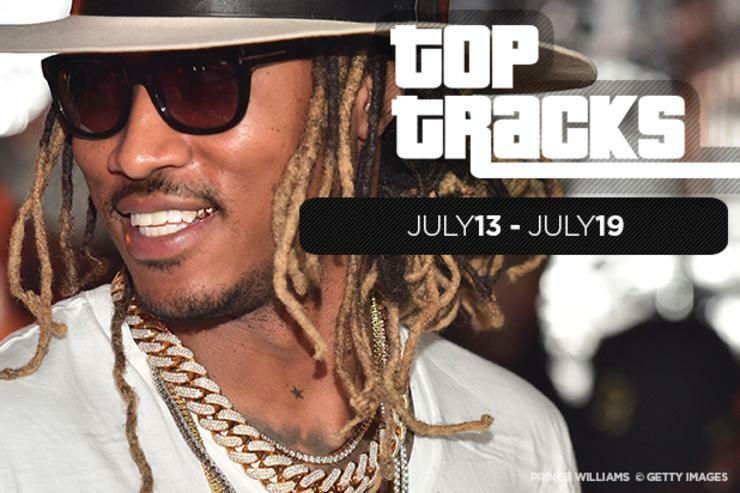 “Blow A Bag” was the lowest of two Future Vandross tracks to chart this week and there’s only three slots left. The Drake effect will not be denied. His latest co-sign jumped an improbable 31 spots to land at #3 in its second week. Get used to Drizzy’s name. He bumped this track 26 spots over its debut week to come in at #2. Even an artist as established as Future gets a Drake bump. “Blow A Bag” didn’t stand a chance with Aubrey around, even if people didn’t like “Where Ya At” as much.